Just curious. Is there a way to do a wild card search or something in the app store to see the current number of available Windows RT apps? I would like to check the progress and growth in the number of apps. As far as I know there's no way to see the number of apps in the store through the store. However, if you're curious, the current number of apps is around 125,000. Kubiubo, etphoto and HeyCori like this. There has to be a way to tell so we can keep track. The best I found was the site I posted the screenshot. 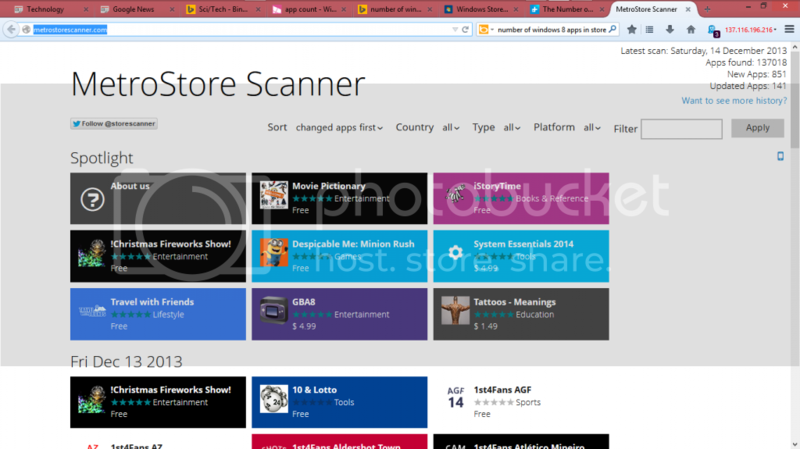 OMG the store is filled with so much junk apps, it's ridiculous. It is, but what platform doesn't have app store polluted with junk apps? Is there a twitter app with columns and filtering?